White House press secretary stresses that President Trump still intends to move the U.S. Embassy from Tel Aviv to Jerusalem. 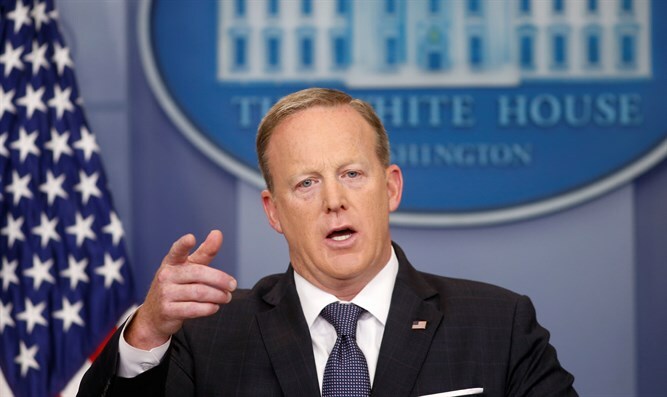 White House press secretary Sean Spicer on Friday stressed that President Donald Trump still intends to move the U.S. Embassy in Israel from Tel Aviv to Jerusalem. Speaking to reporters at his daily press briefing, Spicer spoke of Trump's decision to sign the presidential waiver on the Jerusalem Embassy Act, delaying the Embassy move for six months. The waiver delaying the implementation of a 1995 decision by Congress to move the Embassy has been signed by every U.S. President since 1995. Before Thursday, former President Barack Obama signed the latest waiver at the start of December. A recent report in Israel indicated that Trump had decided that the U.S. Embassy in Israel would remain in Tel Aviv and not move to Jerusalem. The White House later clarified, however, that "the president has not made a decision yet and is still reviewing that".